The Corporation for Public Broadcasting (CPB) awarded a $278,300 grant to four Arkansas public radio stations to support the creation of a statewide multimedia journalism collaboration based at the University of Arkansas at Little Rock. Natural State News will be a statewide news service focusing on reaching rural areas of the state. KUAR, UALR’S public radio station, will be the lead station for the project, joined by Fayetteville’s KUAF, Jonesboro’s KASU, and Texarkana’s KTXK. Ben Fry, general manager of KUAR and classical station KLRE, will coordinate the collaboration to create and broadcast thematically unified content relevant to the interests and needs of Arkansans. NSN will report breaking news as well as produce related special interest stories. The resulting multimedia content will be published online and heard on local and national public radio programs such as NPR’s Morning Edition, All Things Considered, and Here and Now. The grant will help fund four new positions: a managing editor, two additional reporters, and a partner manager, who will raise additional funds for the project. Three of the new positions will be based in Little Rock, with one reporter to work out of Jonesboro. Natural State News plans to break new ground with in-depth multimedia reporting to reach extensively into rural Arkansas to tell unfolding stories about wealth, poverty, race, and decision-making in education, healthcare, and the environment. Little-told stories from the region will give a distinctive vantage point for understanding larger national experiences. NSN will partner with the UALR Institute on Race and Ethnicity, the Butler Center for Arkansas Studies, Arkansas Educational Television Network (AETN), and the print publication El Latino to provide and promote its diverse, nuanced content. All stories will be available in both Spanish and English, and NSN is committed to supporting diversity in its staff, student interns, and stories. For more information on the partner stations, go to their websites: KLRE/KUAR, KUAF, KASU and KTXK. This Saturday, the Old State House Museum will host a FREE seminar to explore Arkansas’s connection with the film and television industry. It will take place from 9am to 2:30pm on August 29. 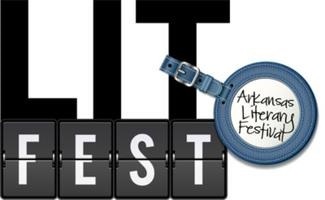 Activities will include a screening of the 2001 Academy-award winning Best Live Action Short Film “The Accountant.” Speakers including Robert Cochran, Suzanne McCray, Ben Fry, Stephen Koch and Philip Martin will discuss topics including women in film, Broncho Billy Anderson, music in Arkansas and Arkansas in the rise of regional Southern cinema. An RSVP to the free event is required, and reservations can be made by emailing georganne@arkansasheritage.org or calling (501) 324-9685 today to reserve a place. The seminar is programming in support of the “Lights! Camera! Arkansas!” exhibit at the Old State House Museum, which will be on display until January 25, 2016. The authors of a new book that explores the legacy of Arkansas on film will be center-stage for a panel and book-signing at the Old State House Museum. On Sunday, March 8, at 2 p.m., Robert Cochran and Suzanne McCray will be discussing their new book, “Lights! Camera! Arkansas!” on a panel hosted by Ben Fry, general manager of KUAR and host of Second Friday Cinema. “Lights! Camera! Arkansas!” traces the roles played by Arkansans in the first century of Hollywood’s film industry, from the first cowboy star, Broncho Billy Anderson, to Mary Steenburgen, Billy Bob Thornton and many others. The Arkansas landscape also plays a starring role: Crittenden County as a setting for Hallelujah (1929), and various locations in the state’s southeastern quadrant in 2012’s Mud are all given fascinating exploration. Cochran and McCray screened close to two hundred films—from laughable box-office bombs to laudable examples of filmmaking – in their research for this book. They’ve enhanced their spirited chronological narrative with an appendix on documentary films, a ratings section and illustrations chosen by Jo Ellen Maack of the Old State House Museum, where “Lights! Camera! 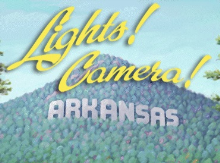 Arkansas!” debuted as an exhibit curated by the authors in 2013. The exhibit will close on July 31, 2015. For this month’s Second Friday Cinema, the Old State House Museum will present a screening of White Lightning. The screening begins at 5:30 pm. 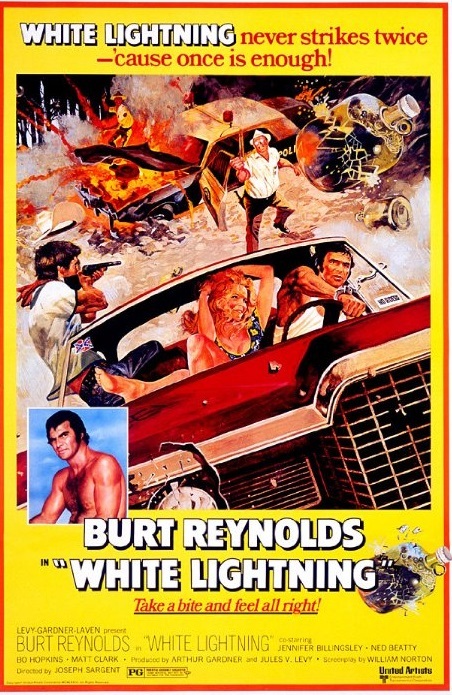 Released in 1973, “White Lightning” stars Burt Reynolds as Bobby “Gator” McKlusky, a moonshiner serving time in an Arkansas prison. 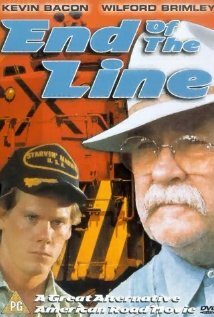 When his brother is murdered, Gator agrees to go undercover with the feds in order to expose a corrupt lawman. Joining Reynolds in the cast are Jennifer Billingsly, Ned Beatty, Louise Latham, Diane Ladd, Bo Hopkins, Dabbs Greer and Matt Clark. 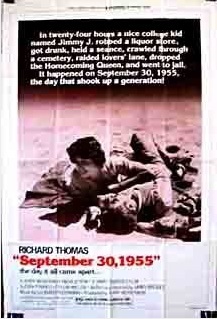 A six year old Laura Dern made her uncredited screen debut playing Ladd’s daughter. She got the job through nepotism since she really is Ladd’s daughter.